Broken Campagnolo Eurus after todays crash. On no!! Did you crash today. 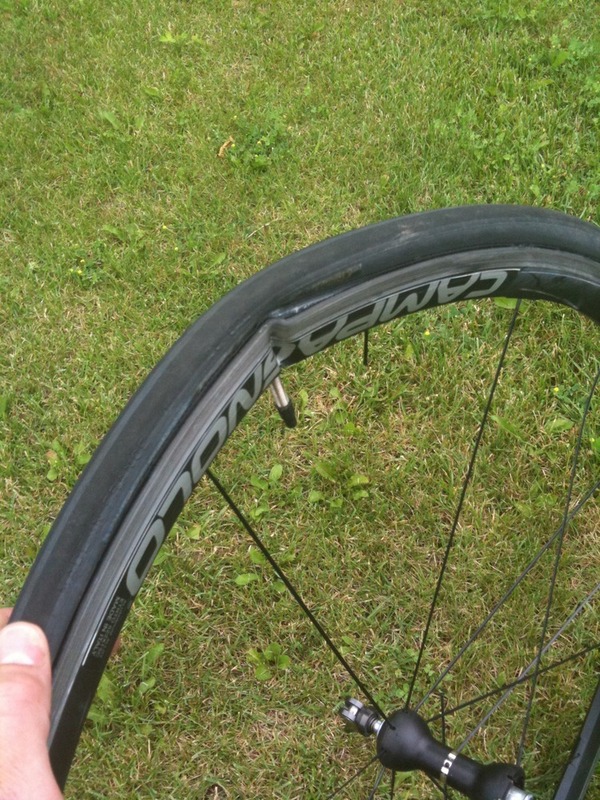 I was going to ask how the race went but it seems it didn’t go all that well.Hope you fared better than the tire! Next PostNext Pity party for one.